This is our brand new vintage style metal stools which is sold in pairs and comes with back for more comfortable use. 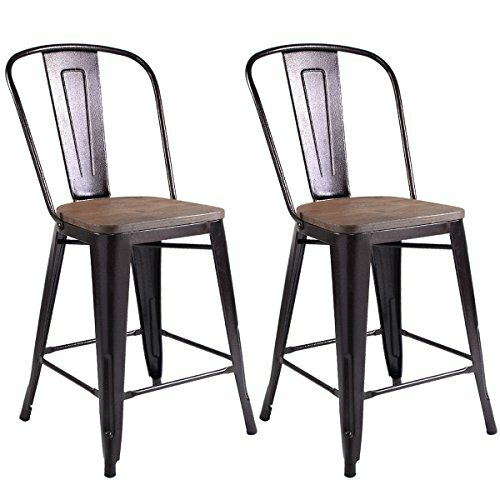 Features a sturdy steel frame, these bar stools are scratch resistant under normal wear and tear and easy to transport and store. Don't hesitate to buy it now! 【Modern Style】These vintage style modern copper metal chairs are perfect for your kitchen, restaurant, bistro, coffee house, or anywhere else. 【Stable & Durable】The heavy-duty steel construction and wood seat makes it more stable and durable.